Previous studies have shown that animals may make adaptive adjustments in response to chemical cues from predators, but hatching responses to diet-related chemical cues from predators have not been previously demonstrated. In the system studied here, the predator is an araneophagic jumping spider (Salticidae), Portia labiata, and the prey organism is a subsocial spitting spider, Scytodes pallida (Scytodidae). The spitting spider carries its eggs in its chelicerae, and carrying eggs is known to make it more vulnerable to predators. It is also known from an earlier study that the prior diet of the predator alters how dangerous the individual predator is to the spitting spider. In the experiments reported here, incubation time was shorter when volatile cues from the predator were present and longer in control tests when no chemical cues from the predator were present. 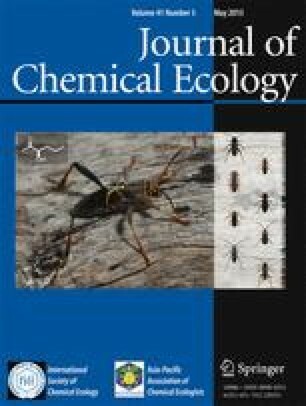 The previous predator’s diet also influenced incubation time: when in the presence of volatile cues from individuals of P. labiata that had previously fed on individuals of S. pallida, incubation time was shorter than when in the presence of volatile cues from individuals of P. labiatathat had been feeding instead on house flies. Chemical cues assessment predation anti-predator defence hatching strategies spiders Scytodes pallida Portia labiata.